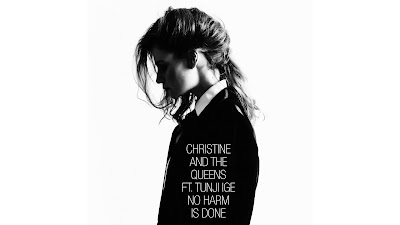 Read Christine and the Queens Song No Harm Is Done Lyrics and Watch Official No Harm Is Done Video featuring Tunji Ige. The video song is directed by Christine and produced by Iconoclast under the choreography of Marion Motin. If we had something to fight for.. I walk like a boy mad at whoever..
Would step on the game that he’s just draw.. Though we wrote it down..
Tears and sweat can numb like melted snow. Once it’s figured out will finally matter..
I’ll pass it on to you give it a go ohh..
We lose control when we were meant to win..
Don’t lose the focus, never settle in..
We could find a way and end the sin..
Or I could go and be the better man..
Wanna take the lead but I roam all alone..
With a heart so hollow.. I guess this a plea to be free written to someone soul.. If this where we are then tell me just where should I go..
=> Also Check - Ellie Goulding On My Mind Lyrics!